A comprehensive inventory of public trees (on streets and in parks) is the foundation for both public safety and effective management planning. An inventory is the basis on which all other urban forestry efforts (management plans, operation reviews, proactive maintenance, tree planting, and budget planning) should be evaluated. For this reason, it is the first step for many of the initiatives recommended in this plan. 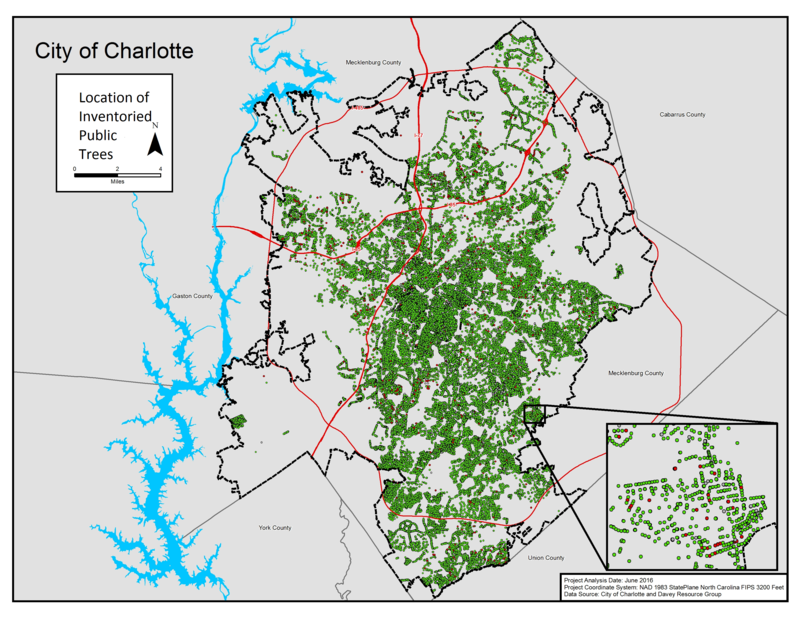 ​Charlotte's existing tree inventory contains approximately 160,000 trees of the 185,000 publicly-owned trees (75-80% complete). In addition, some of the existing data may be dated and will require updating. 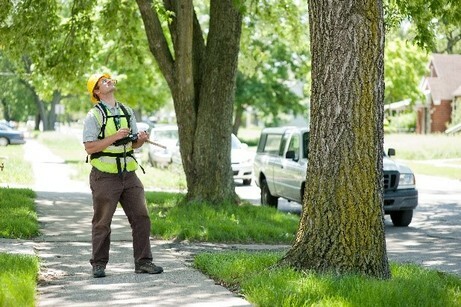 Technology should also be upgraded to support daily field operations such as tree inspection recording, maintenance scheduling, and maintenance histories on a per-tree basis. The latest technology would also allow partner organizations like TreesCharlotte or other city departments to potentially record and track new tree plantings, ensuring that the urban forestry department is aware of all public trees installed. Funds should be dedicated to a completion of the inventory data not yet acquired, for any technology upgrades to allow in-field data entry, as well as annual updates by staff in advance of cyclical care work (see management plan recommendation). Determine a process to complete the inventory, potentially including this work in the annual tasks described in a management plan. This can be done through hiring of contractors or by city staff, depending on available resources. Define funding required to complete and maintain the inventory on an ongoing basis based on the method chosen above. Include this financial need in the management plan funding requirements.